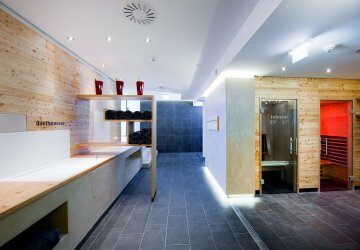 At the Alpenhotel Perner in Obertauern you will find extensive spa facilities. 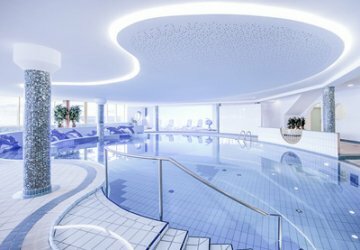 Enjoy the spacious indoor pool, sauna area, massage and cosmetic treatments. 1000m² full of relaxing pleasure await you and your family on holiday. Reserve your room in Obertauern today; simply fill out our non-binding request form for your skiing holiday in Austria’s Salzburg Land. We have expanded our wellness area! Even more relaxing moments after a fantastic day of skiing are guaranteed. Our four new relaxation rooms invite you to relax. The wellness area and pool is open from 7 a.m. until 8 p.m., the sauna area opens at 3 p.m. and may be opened earlier in case of snowy weather. You also will find a reading area as well as our water beds, on which you will feel like you are floating in peace. Our "Elysium" treatment area is also shining in new splendor. 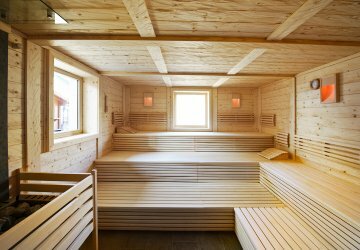 The new treatment rooms offer you everthing you could wish for for a relaxing end to the day or an ideal alternative for a ski-free day. Enjoy the different treatments offered at the Hotel Perner spa. Come to Obertauern and spend your winter holiday with family at the Alpenhotel Perner. We are looking forward to receiving your non-binding holiday request.